Everything was dark, I had no clue where I was and I don&apos;t remember how I got here. My heart was in my mouth, and my breathing was shallow, a red flash of light imprinted my retinas causing me to see shapes behind my eyelids as I closed them. "Ahh!" I yelped, squeezing my eyes shut as hard as I could to block out the bright red light. I found my self in darkness again, only this time, I wasn&apos;t alone. A growl came from behind me to jump and swivel on the spot, but there was nothing. There was another growl, thus time it sounded more demonic and conniving, my heart was beating a thousand times a minute until a voice that instantly calmed my rapid pulse. "Jess... Jess follow my voice... we can be together again..." I turned back around to see Rick, he walked over to me standing in the same stance he always had when talking to me, he leant to one side and took my hand in his "Jess you need to wake up" he said. What? was I asleep? am I dead? These thoughts went swimming around in my mind, a sense of loneliness fell over me. "I don&apos;t know how to Rick..." I paused looking down at our entwined hands, "Please... help me -" I continued, I glanced back up to Rick&apos;s deep blue eyes I had always gained comfort from... But they weren&apos;t there... they had been replaced by deep, dark holes of nothing, they were more empty and dark than the deepest ocean anyone could think of. Whoever was staring back at me wasn&apos;t Rick, well it was Rick but it was as though it was just his body, an empty shell with something more insidious inside. His skin began to melt and distort, decomposing and falling from his face. 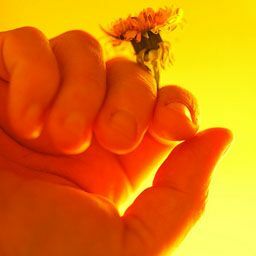 The warm and tender hand I had been holding, became withered and bony, bone was sticking out from his knuckles as he squeezed my hand. "Let go of me!" I screamed, tears flooding my frightened eyes as I tried to pull away from this... monster. He wouldn&apos;t let go, a malicious smirk slowly made itself known across his lips. "You aren&apos;t going anywhere" he cackled, his grin revealing two rows of very sharp teeth, glistening in the red light. I kept pulling and trying to get free, but to no avail, his decomposing hand had now developed claw like fingers that dug into my arm. "Ahh!" I screamed as a flash of bright white light blinded me, this made the devilish being flee, leaving me dazed, confused... and bleeding, a lot. I raised my arm up to dim down the bright light, but found myself walking into it, soon after I found myself surrounded by light as the nightmarish world had dissipated from sight, as though it was allergic to the wholesome, almost angelic light. "Jess!" Someone had called my name for second time. I lowered my arm to see my sister, Goosebumps littered my body causing me to shiver "Sis?" I managed to squeak, making my sister smirk. "Jess you need to wake up... It isn&apos;t your time yet" she replied, her Hazel nut eyes boring into mine. "Oh god... I&apos;m dead aren&apos;t I?... I don&apos;t know how to wake up sis!" I yelped, my vision kept becoming a total haze because of my tears. "You have so many people who miss you, its not your time yet" she paused, a sound echoed through my ears, what was that? It later developed into someone sobbing, a male. "Do you hear that? someone misses you..." she continued as the crying got louder. My throat began to get dry, I held my throat as it I was trying to support it before it collapsed, not long after my chest began to hurt until there was a loud crack "Ahh!" I hunched over in pain "What is this!?!?" I whimpered, my sister walked towards me. "Your rib, its broken... that means you&apos;re waking up... now go... before its too late" she demanded, I glanced up to see her fading away, I lifted my hand out but couldn&apos;t say anything because of the pain. "I love you so much little sister" she expressed as she faded away, I was left in a heap on the floor, laying on my back. I looked forward with my head on the floor as sleepiness took over, but I was still gasping for breath, it felt as though all of the air had left the room. All of a sudden, that feeling of loneliness had left me, that sweet, sweet oxygen had entered my lungs again. My eyes shot open, only for them to see the dark and dingy ceiling for my prison cell, the damp musty smell filling my nostrils. 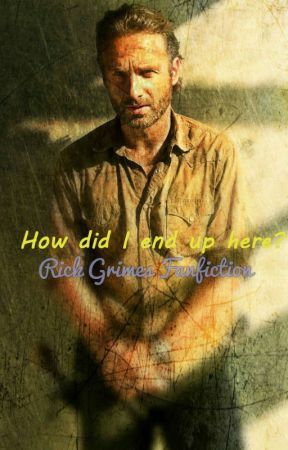 I took in another deep breath, only to feel my chest aching as something was on my chest, glancing up I saw Rick, not the demonic look alike I had seem in that hellish dimension, no, he was my Rick, and I had missed him so much. We stared at each other not saying a word, we didn&apos;t need to talk. Rick pressed his lips against mine and didn&apos;t pull away. I truly believe I died that day, but I didn&apos;t come back because of some medical miracle, I came back because I couldn&apos;t bare to leave the man that I loved behind. I had seen my dead sister who I love very much, she helped me back too, and I saw a conniving demon from hell who tried to keep me from returning back to the living, but that didn&apos;t stop me, I guess it will always be love that wins in the end.